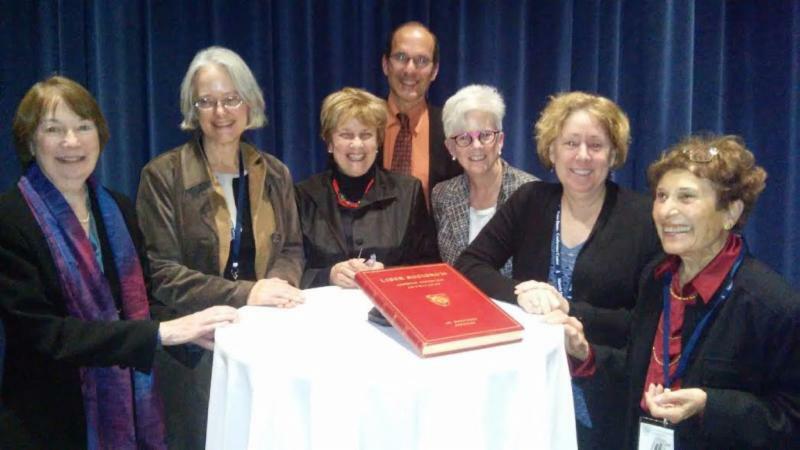 The 2015 Annual Meeting of the Medieval Academy of America, held from March 12-14 this year at the University of Notre Dame, was a resounding success. Nearly five hundred participants contributed to the exciting series of panels and discussions on subjects ranging from the mundane and material elements of monastic life to digital tools for studying the Middle Ages. The concentration of senior scholars who were sharing work and offering commentary was a reflection of the strength of the Medieval Academy, and as a first-time attendee at the Annual Meeting, I was grateful to have the opportunity to hear from medievalists whose scholarship I have admired and benefited from as a doctoral candidate in the history department at Brown University. As an editorial assistant at Speculum, I was also excited to meet so many of those with whom I have corresponded while trying to line up book reviewers and process submissions, and I found it gratifying to hear from many of those I spoke to that the reviews section of the journal continues to serve as one of the most trusted sources of information about new trends in medieval studies. Many of the latest developments in the field were on display in the sessions held over the course of the three days of the conference. Efforts to expand the scope of medieval studies to more fully integrate scholarship on Eastern Europe, Byzantium, and the Islamic World have contributed to some of the most exciting research of recent years, and many of the panelists at the Medieval Academy Meeting presented new findings on non-western and non-traditional source materials. The two sessions held in honor of the late Olivia Remie Constable featured the innovative analysis of cross-cultural interactions within the Mediterranean that characterized her own work, while also including moving tributes from the many who had benefited from her guidance and friendship during her tenure as Professor of History and Director of the Medieval Institute at Notre Dame. Having never been to South Bend before, I was impressed not only by the size of the medieval studies program at Notre Dame, but also by the warmth of the welcome I received from faculty, graduate students, and staff of the Medieval Institute over the three days of the meeting. The enduring strength of the community seems a great tribute and testament to Professor Constable’s leadership and her lasting contributions to medieval studies. The preparation and organizational work done both by local staff and members of the Medieval Academy helped each of the panels and events at the meeting to run seamlessly. All of the sessions I went to were very well-attended, and they were followed by extensive discussion that continued on well after time allocated for questions had formally ended. Compared to larger conferences, the Medieval Academy Meeting offers an intimacy and community that facilitates discussion and efforts to promote further scholarly collaboration. I started to recognize many familiar faces as I moved between sessions, and I realized that my research interests aligned with a few people I kept bumping into over the course of the meeting. Several of the sessions I attended were the products of conversations during last year’s Medieval Academy meeting, and I had many opportunities to discuss ideas for panels for the next annual conference in Boston with like-minded scholars. The number of vendors was also smaller than would be found at the international conferences at Kalamazoo and Leeds, but this also makes the Medieval Academy meeting an ideal opportunity to talk with acquisitions editors and pitch book ideas. Speculum Editor Sallie Spence, as well as planning sessions for the upcoming fiscal year and publication cycle. In Saturday’s keynote address, the Medieval Academy’s outgoing President, Professor William Chester Jordan, offered a consistently rich and fascinating account of Saint Louis’ experiences in captivity and its influence over his rule, which will appear in full in the July 2015 issue of Speculum. But even after all was said and done, there was still plenty of time left to eat, drink and be merry, and the beautiful spreads prepared by the catering staff at Notre Dame provided some much needed fuel over the course of the three days of the meeting. The graduate student committee also put on a lively social that offered an enjoyable opportunity to build ties within the medieval studies community in a less formal setting. I enjoyed meeting other young scholars from all over the country and beyond, learning about the exciting new developments within their fields, and sharing ideas for creative teaching strategies. But it is also worth noting that the conference wasn’t neatly stratified by age or rank – I was pleasantly surprised to see panels that featured scholars presenting their dissertation research with others who are as likely to be candidates for the Haskins Medal. This kind of collaboration seems to be a great embodiment of the Medieval Academy’s mission and the strong role that the annual meeting plays in building connections that solidify the medieval studies community. This entry was posted in Annual Meeting, MAA Newsletter. Bookmark the permalink.